1. Quinoa is a plant-based protein source that contains all essential amino acids! This aspect makes quinoa the perfect meat-replacement for those who follow, or are trying to move toward, a plant-based diet. Most plant proteins must be used in combination with each other to create a complete protein, but quinoa stands alone as a complete protein itself. There are 8 grams of protein per cup of cooked quinoa. 2. Quinoa is usable within any dietary restriction! Quinoa is a grain that is naturally gluten-free and super high in protein. It can be used as a protein replacement for those with vegetarian or vegan diets, or you can try it as a pasta and oat replacement without worries of gluten contamination. 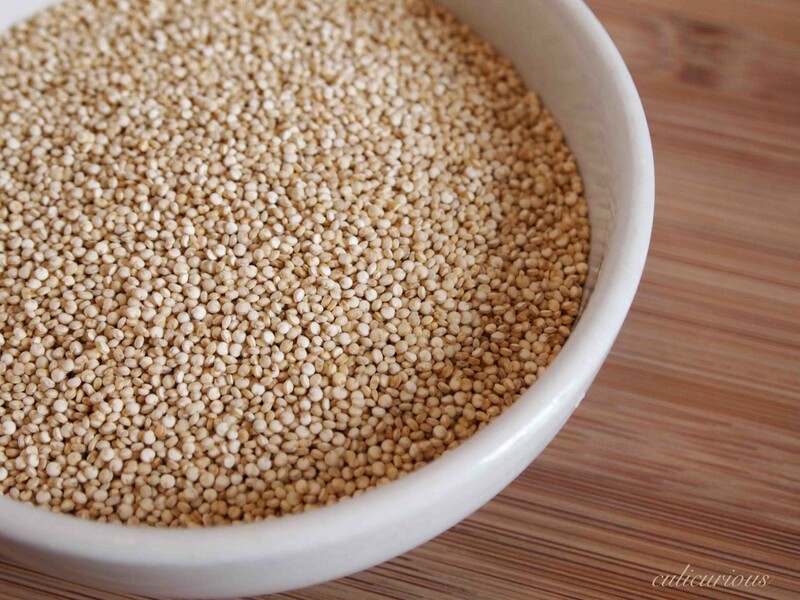 And for those who are conscious of their soy consumption, quinoa makes the perfect soy-free plant protein! 3. Quinoa is a great source of dietary fiber! Fiber is a nutrient that most people don’t consume enough of since it’s difficult to come by in all the refined grains commonly consumed. There are 5 grams per cup of cooked quinoa, making it an easy and tasty source of fiber. 4. Quinoa is easy to cook and versatile for many different meals! Quinoa is cooked just like rice: cook one cup of quinoa in two cups of water/broth and it will take 15-20 minutes to fully cook. Try using quinoa as a protein-packed alternative to oats for an oatmeal breakfast, or mixing cooked quinoa with Italian salad dressing and throwing a few chopped veggies in for a pasta salad-like side dish!